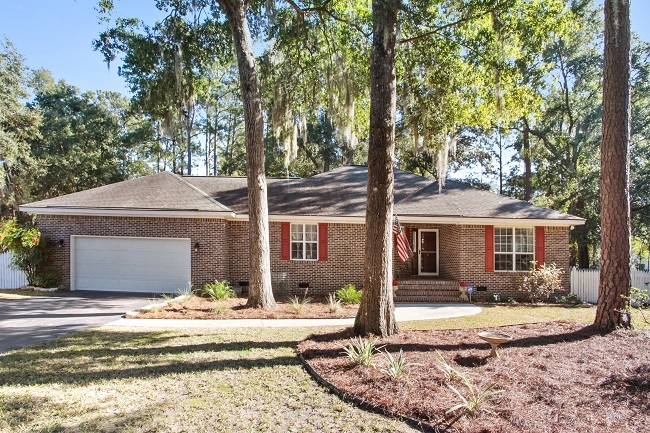 6 Tuscarora Avenue is located in the well established community of Pleasant Point, on Ladys Island, SC. Tuscarora Avenue is easily accessible via Pleasant Point Drive. This waterfront community is nestled on the northwest end of the island, and is a pleasant drive to Historic Beaufort, the Waterfront Park, and great local dining. Ladys Island neighbors the towns of Port Royal and Coosaw Island. This brick single level home has numerous desirable features. It contains three bedrooms, three full baths, and over 1800 square feet of enjoyable living space. It is situated on .36 acres with a big fenced backyard and attractive landscaping. 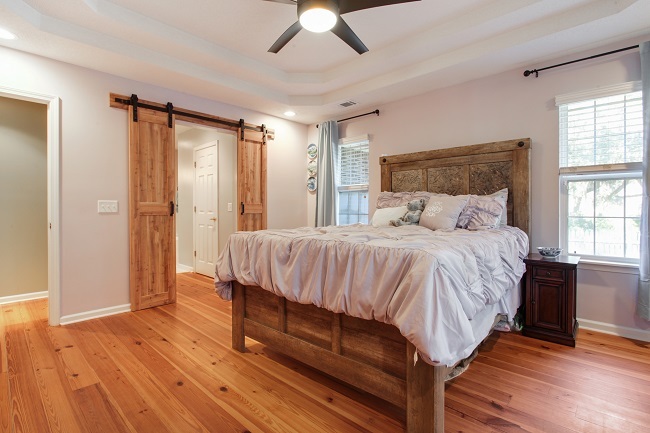 The interior offers hardwood floors, carpet, beautiful barn style sliding doors in the master bedroom, and much more. The living room is open with vaulted ceilings. The beautiful french doors lead to the screened porch and open grilling deck. Make this space your place for entertaining. 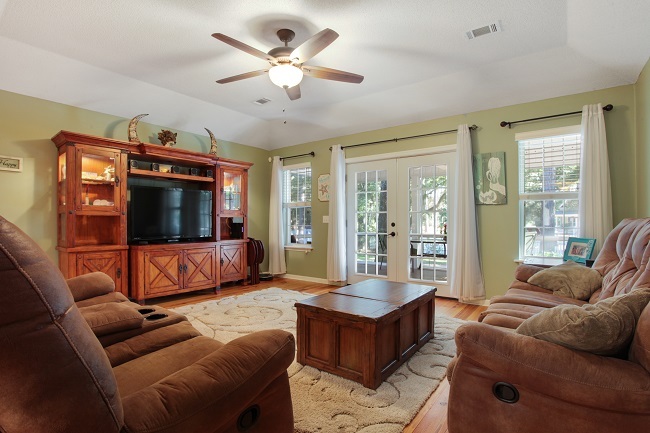 Or even take it to the living room where you can chat with guests. 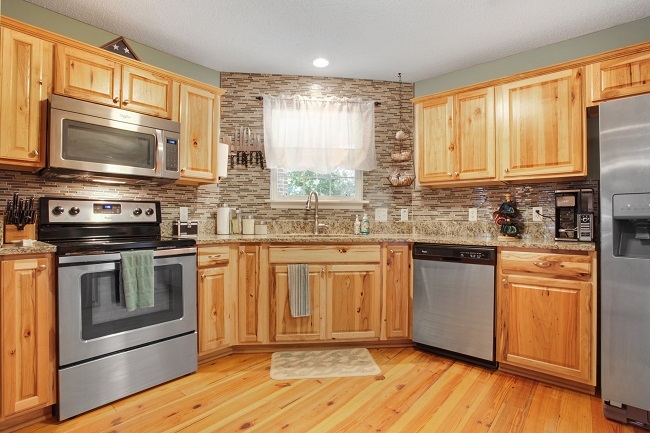 The kitchen boasts beautiful granite countertops, custom wood cabinets, and stainless appliances. There is plenty of storage space, as well as food prep space for any occasion. The master suite has hardwood floors, while the other two bedrooms are carpeted. It is spacious with a private bath and unique sliding beautiful barn style doors. The master bath has elegant touches like granite double sinks and separate shower and soaking tub. Relax after a long day. The wonderful community of Pleasant Point, located on Ladys Island, was originally a plantation in 1704. It has expanded from one home, to a beautiful neighborhood community, complete with a community pool, clubhouse, and breathtaking scenery. This community offers everything from waterfront homes to quaint cottages, while capturing the views of the marshlands, waterways, lakes and ponds. Many residents are active, and take advantage of what their community has to offer. 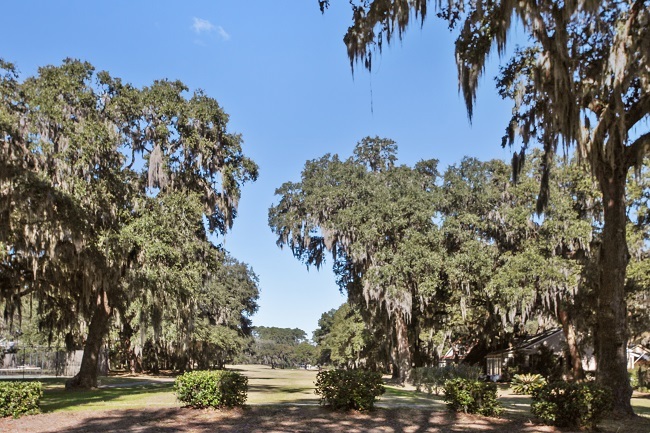 Pleasant Point is just minutes away from downtown Historic Beaufort, golf courses, and the military facilities.